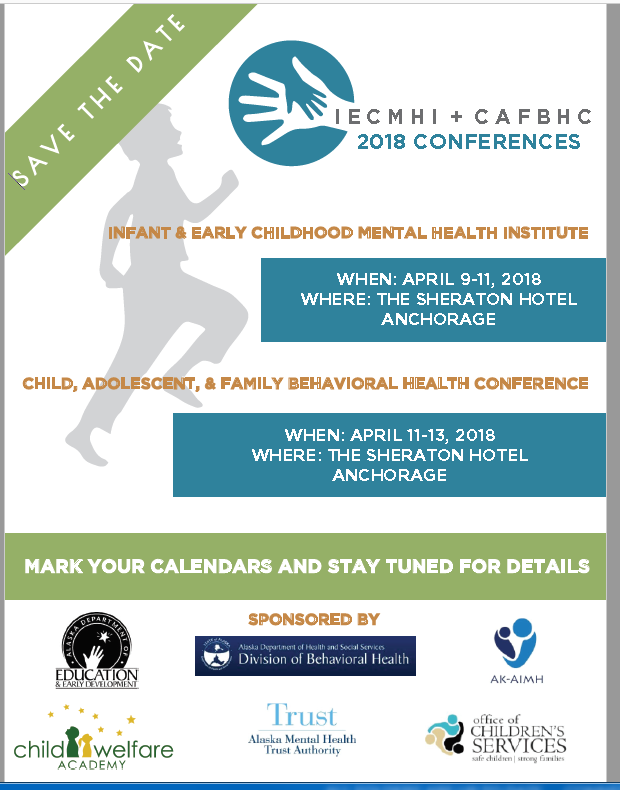 The Dates for 2018 Infant & Early Childhood Mental Health Institute in Anchorage: April 9-11, 2018. At the 2018 IECMHI, AK-AIMH has received grant funding from the Alaska Mental Health Trust Authority to provide a full-day training by Zero to Three on the NEW DC: 0-5, Diagnostic Classification of Mental Health and Developmental Disorders of Infancy and Early Childhood. Stay tuned for registration information. For questions or feedback, please contact the organizer at allyson@stateofalaskaevents.com.